• Collaboration Allow teams to work together effectively, collaborate on and publish documents, maintain task lists, implement workflows, and share information through the use of wikis and blogs. • Portals Create a personal MySite portal to share information with others and personalize the user experience and content of an enterprise Web site based on the user’s profile. 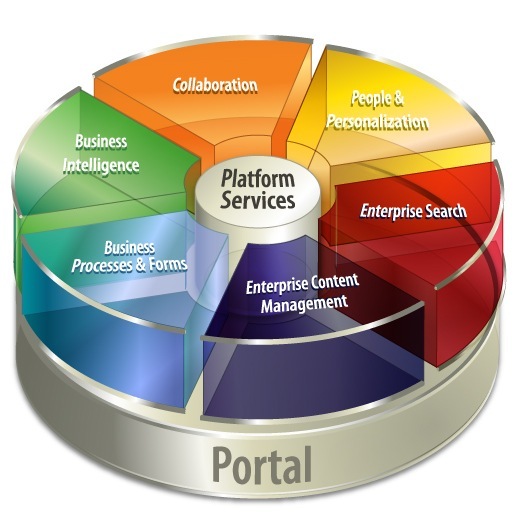 • Enterprise Search Quickly and easily find people, expertise, and content in business applications. • Enterprise Content Management Create and manage documents, records, and Web content. • Business Process and Forms Create workflows and electronic forms to automate and streamline your business processes. • Business Intelligence Allow information workers to easily access critical business information, analyze and view data, and publish reports to make more informed decisions.